The Hub has been out and about recently with the Avalon Air Show, Geelong’s Innovate Expo and a Royal Society of Victoria event on Fashionable Science. The Royal Society of Victoria holds regular lectures on a range of interesting scientific topics. On February 28th the lecture was on Fashionable Science and featured 4 scientists working in different areas of fashion/textiles including Hub CI Nolene Byrne. Nolene’s presentation about circular textiles, fibre-to-fibre recycling and the huge textile waste problem this could help address was a big hit with many questions from the audience. 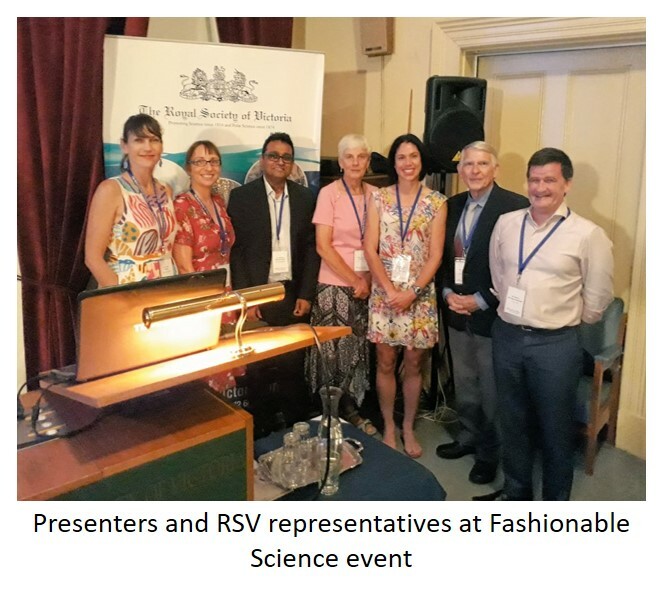 Other presenters from RMIT discussed making wearable medical devices fashionable (Dr Leah Heiss), nano-enhanced textiles (Dr Rajesh Ramanathan), and protective textiles (Dr Lyndon Arnold). The biennial Avalon Air Show was held from 26th Feb until 3rd March 2019. Deakin had a stand in the exhibition hall where fibre research was featured. 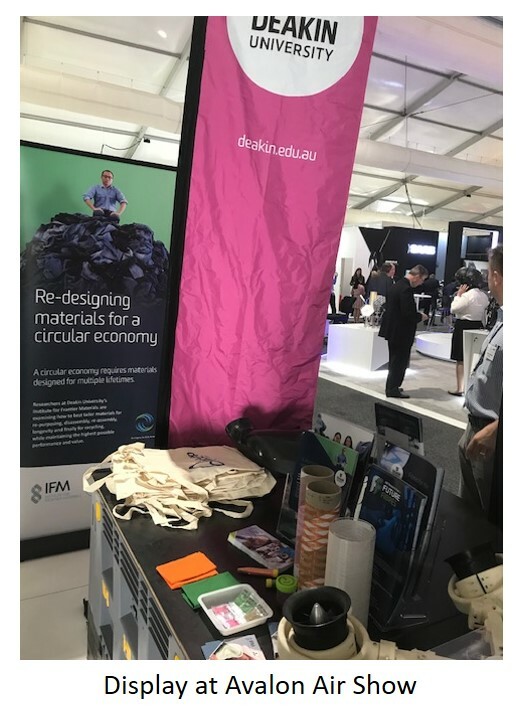 Researchers from the Institute for Frontier Materials and the Hub manned the display over the 6 days and chatted with many people interested in what research is happening at Deakin. Innovate Expo was held at GMHBA Stadium on 8th March. The Geelong Manufacturing Council event gives an opportunity for regional industry to come together, hear from a series of expert speakers, including Hub CI Minoo Naebe, and network over displays. Again the Hub was represented at the displays, along with partner HeiQ. Interested attendees also visited IFM in the afternoon to tour the facilities.